As important as acceleration and braking are to your driving experience, they mean nothing without the ability to control your direction. Your steering system enables you to point your vehicle in the direction you want to go, while maintaining fluid control of your vehicle. There are different kinds of steering systems depending on your type of vehicle. Many trucks, full-size SUVs and heavy-duty vehicles use a recirculating ball steering system - essentially a worm shaft that moves the sector shaft - to control your steering direction. Most passenger cars and light-duty trucks and SUVs use a rack and pinion design, where the steering shaft moves the steering gear side to side inside a tube connected to the wheels. In both systems, pressurized power steering fluid assists in making the steering motion as easy as possible. Another increasingly popular steering system is electric power steering. Primarily used with rack and pinion systems, it provides steering assist with an electric motor, instead of a hydraulic power steering fluid system. 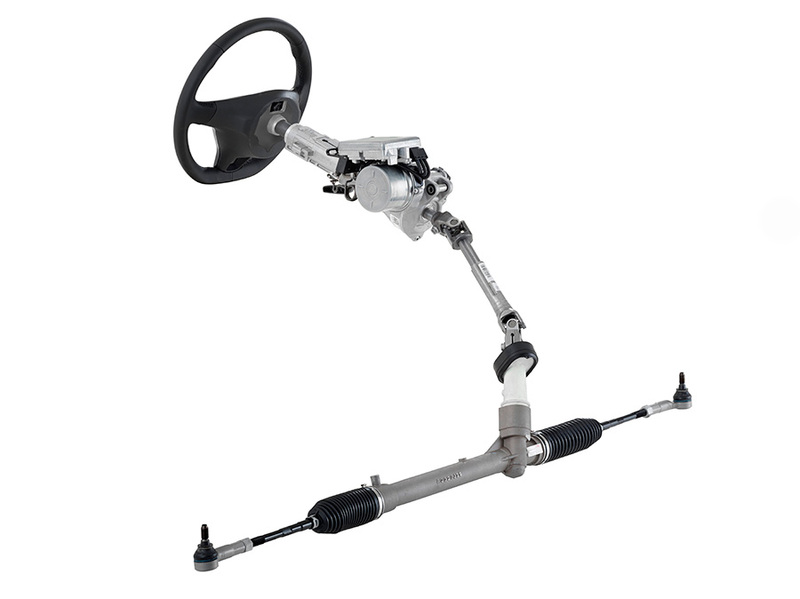 Any type of steering system is crucial to your overall driving ability. If just one part is worn, leaking or loose, your vehicle control can be compromised, and you'll need steering repairs. Because the steering system is closely tied to your vehicle's safe operation, every problem you experience should be addressed immediately. If you ignore a symptom such as a loose steering feel, binding when you're turning, clunking or rattling, or lack of power steering assist, you may be putting yourself at risk of an accident. If you experience any of these symptoms, or if you are concerned about your steering ability in any way, obtain steering repair work without delay. If left for too long, a loose tie rod can separate, or leaking power steering fluid could make you lose control of your steering. Any of this can be easily avoided in the right time. At Babcock Auto Care, your steering repairs are performed by knowledgeable ASE-Certified Master Technicians with years of experience. We know how to perform steering repairs and service on all types of steering systems, whether your Chevrolet Cobalt has electric power steering assist issues, your Dodge Caravan is leaking power steering fluid from its hoses, or your Ford F-150 shows excessive play in the steering wheel. Our aim is to ensure your driving safety in all conditions. We always use high-quality parts and fluids for your steering repair, while employing industry-standard repair methods. We back all our steering repairs with the best warranty in the business.